We can finally say it – summer is officially here! But before you plan any beach trips, it’s important to make sure your home is just as ready for the season as you are. So, as you dust off your sunglasses, tees and sandals, don’t forget to also bust out your mop, cleaning sprays and dusters, and follow this (extremely easy and effective!) list to spring clean your home in summer. You wouldn’t want to go all summer with spotty windows, would you? Washing your windows, screens and tracks is the best way to brighten and lighten up your space this summer. Spotless windows can let in more natural light, clean screens can minimize dust, and scrubbed sills/tracks can keep your place looking tidy. If there’s any time to deep clean your floors, it’s now. During the colder months, it’s common for floors to get hit with excess mud, snow, and dirt from winter boots and shoes, so yours are probably in need of a nice summer-time scrub. Whether you have hardwood, laminate, tiles, carpets or rugs, an intense clean/sweep/steam/vacuum can do wonders for your condo during the sunny months. Working on your bikini body is easiest when there’s no junk food in the house! Now is a great time to get rid of any old containers, cans, condiments and other miscellaneous items that you won’t be needing for summer. Then, give your fridge a nice wipe down, and voila, you now have a tidy, organized fridge for the summer. This one is a no-brainer, but we wanted to include it here because it’s easiest to swap wardrobes at the beginning of each season. Store away all your jackets, boots and sweaters in bins, closets and storage units, and replace them with your tees, sandals and bathing suits. We recommend you use Ziploc Space Bags for your extra bulky items. We know that there’s nothing that gets you more in the summer spirit than a clothes swap. Summer is bad for dust. During the warm months you can see all the dust that has built up over the winter. Doing a thorough dusting of your home, including along the baseboards, under your couch, on top of the windows and doors, and across your shelves, can really clean up the air and make your place look cleaner than ever. You can never forget about the bathroom! 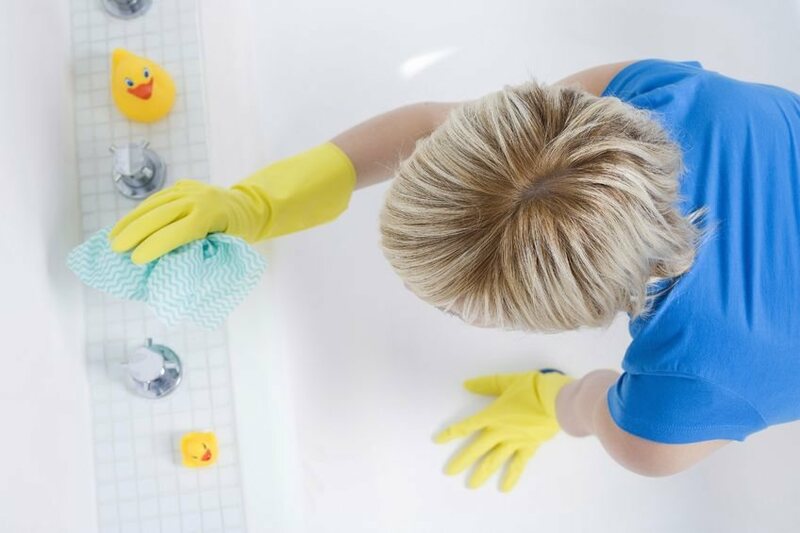 While you’re working hard at cleaning the rest of your place, just take a bit of time to give your bathroom a nice scrub. Using naturally scented cleaning products can help make your bathroom smell as fresh as it does outside! There’s no need for thick linens and comforters during the summer months, so be sure to swap them out for lighter ones. Say goodbye to the fleeces and cottons, and say hello to the satins and silks! They’re the best materials to jump into bed to after a long, hot day.